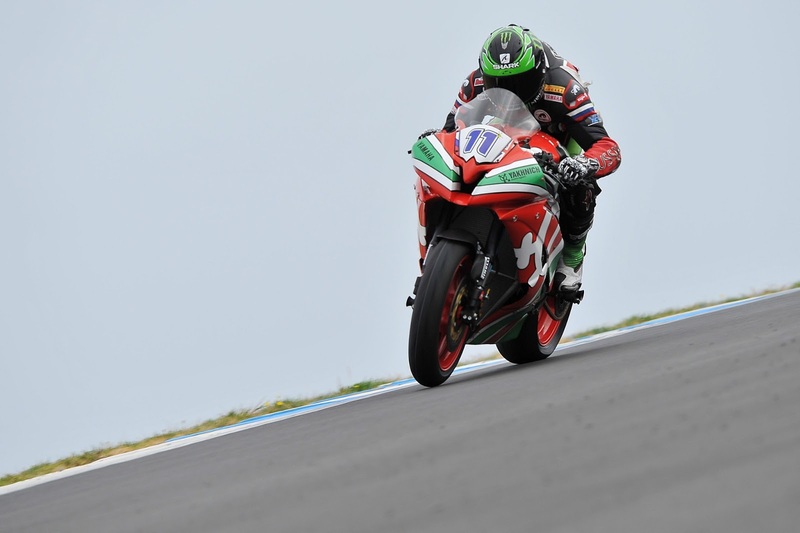 Sam Lowes has drawn first blood in the World Supersport Championship by laying the fastest supersport time ever around Phillip Island in the first qualifying, a lap set during a race run according to Lowes. The 22 year old Brit set a time over a second faster than 3 time World Supersport Champion Kenan Sofuoglu. Robbie Rolfo took third on the new MV Augusta F3 (yep…) with dutch Michael van der Mark in fourth. It was a good session for the Brits as Jack Kennedy put it in 5th whilst Kev Coghlan on the DMC-Lorenzini Kawasaki and Christian Iddon on the second MV Augusta rounded out the top ten. Rain had threatened within the session however fortunately held off. The supersport riders will get a second chance to better their time tomorrow, however with Sam Lowes on this kind of form, the others may be very scared.